It’s okay, we’ll wait for you to climb down from the ceiling. The fact is, today root canals are safe and nothing to be afraid of. Maybe 70 years ago there were reason to be afraid. However, do you really think you’d feel any different about any medical procedure from back then? Today, getting a root canal is about on par with getting a cavity filling. But due to the dubious “information” swimming around online these days, many don’t know this. You’d think after 30 years of exposure to the Internet people would be more savvy! Do you have a toothache that won’t go away, or its become extremely sensitive to temperatures. Or, perhaps, you have a tooth that looks a lot darker than your other teeth? If so, there’s a good chance you have a tooth infection, and a root canal is the best way to treat it. We are seeing a lot of false claims online, and we’re going to do something about it. People fear what they don’t understand, and sure enough, most of our patients who get upset when we recommend a root canal don’t actually know what a root canal is. In each of your teeth there is a tiny organ, called the dental pulp. The dental pulp is responsible for the “upkeep” of the tooth. It provides blood flow, and serves as the sensory organ for your tooth. It is also responsible for producing dentin, the bone-like substance that makes up the structure of the tooth below the enamel. The dental pulp, and the dental nerve, are inside the root canal. It’s a bit of a misnomer to call the procedure a root canal, but that’s what people call it. This procedure is also known as a root canal treatment or endodontic therapy. Depending on the tooth, it may have one or two root canals. If there is an infection on them, the bacteria can enter the rest of your body, or cause an abscess to form on your gums. What is an abscess you might ask. An abscess is a pus-filled sack that can have deadly consequences if it isn’t addressed as soon as possible. The root canal treatment amounts to the removal of the nerve and pulp to prevent the infection from progressing. Don’t I Need My Dental Pulp and Dental Nerve? While the pulp and nerve play very important roles in the functioning and maintenance of your teeth, your teeth can still do their job without them. It’s also just a better idea to leave your natural tooth in place. One of the more persistent bits of bad information that’s out there about root canals is that, “Extraction is safer than a root canal”. This could not be further from the truth! Tooth extractions have certainly come a long way since the old tooth-yanking days. Dental professionals perform extractions much more carefully, and in most instances, by an oral surgeon specializing in the procedure. So, are tooth extractions necessary? For most dental professionals, an extraction is always a last resort. 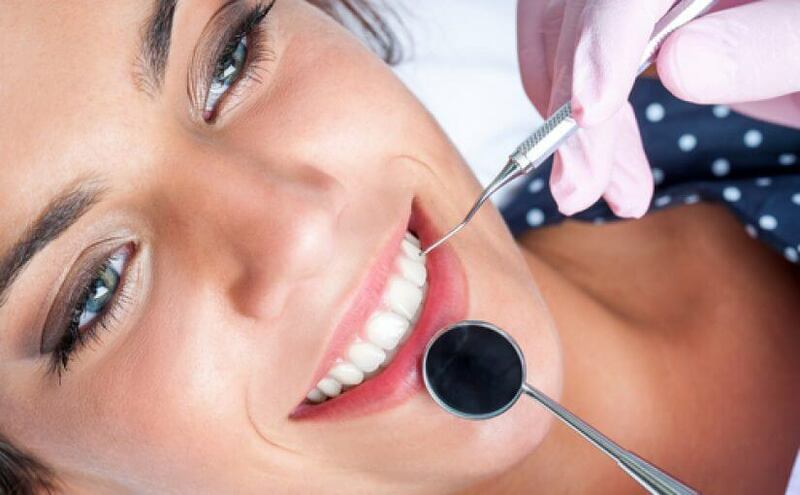 Extractions are extremely traumatic and intensive procedures, much more than a root canal. Extractions leave large holes in your gums. This is because an extraction usually means the teeth are cut out of the gums, not pulling from the gums. As a result, this presents an enormous risk for infection. Tooth extractions require lengthy recovery times which are at the very least inconvenient for the patient. A root canal requires much less recovery time. Generally, you’ll be able to return to your normal day immediately after the procedure. Plus, they are no more uncomfortable than a tooth filling. Identify the problem tooth, and open the tooth to provide sufficient room for the dentist to remove the pulp and the nerve. Remove the pulp and dental nerve. The root canal, now empty, are thoroughly disinfected with a solution. The tooth is filled with a natural latex called gutta percha. Following the procedure, you will also be fitted for a crown, which will provide your tooth with the strength it needs to do its job, as well as provide protection from further infection. Does It Seem As Though Your Toothache Won’t Ever End? If you’re in a lot of pain caused by a tooth that just won’t stop hurting, you might need a root canal! Dial (815) 7725-5991 to reach our front desk, and make an appointment!